Click the button to be notified if additional trips are added! 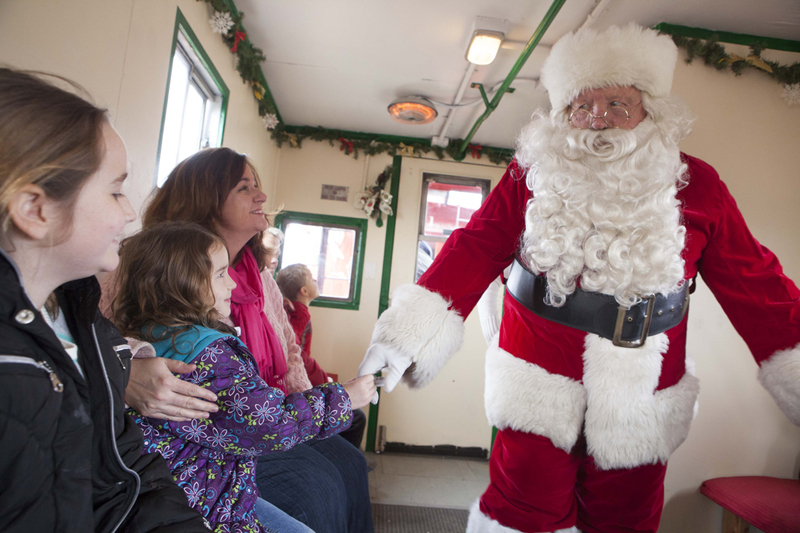 Santa Claus and his train return to the Fort Wayne Railroad Historical Society this December! 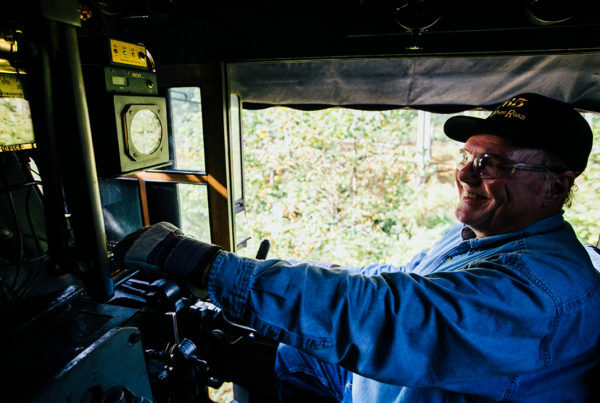 Climb aboard a heated, vintage caboose for a 20-minute train ride with Santa. 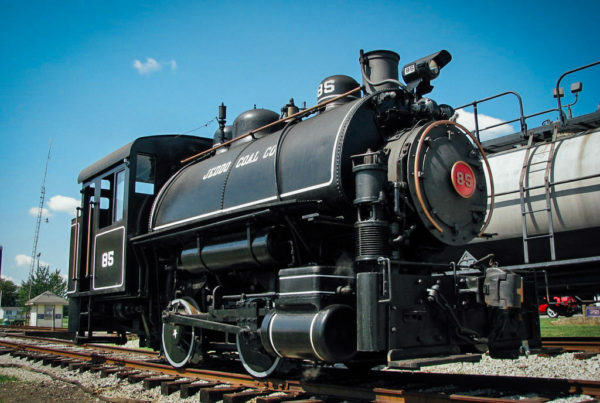 Enjoy food from Bravas, live entertainment and explore the world-famous Nickel Plate Road no. 765. The trains are operated by a 1950s diesel locomotive. Trains run continuously all three Saturdays and depart three times each hour. 45 minute trips for families and groups of up to 15 people. Seating is extremely limited and walk-in availability cannot be guaranteed. For the fourth year in a row, Santa Charters for families and large groups can be reserved on Saturday evenings and Sunday afternoons at select times. All trains depart the railroad historical society’s restoration facility at 15808 Edgerton Road, New Haven, 46774. Please wear sturdy, comfortable shoes – do not wear flip-flops, sandals, open-toed or high-heel shoes. Cars are not ADA-compliant due to their historic nature, however most passengers with limited mobility can be accommodated with advance planning. Please contact us with questions. These operations take place at a working railroad facility. Please be mindful of your safety and the safety of your guests. Watch your step, be mindful of moving railroad equipment, uneven surfaces or bad footing, do not walk on the railhead and obey instructions from train crew at all times. Your presence and participation indicates that you accept the limits of liability from inherent risks of all activities and operations. We reserve the right to substitute motive power or rolling stock as necessary. Train rides may be subject to mechanical delays, which are nevertheless uncommon. 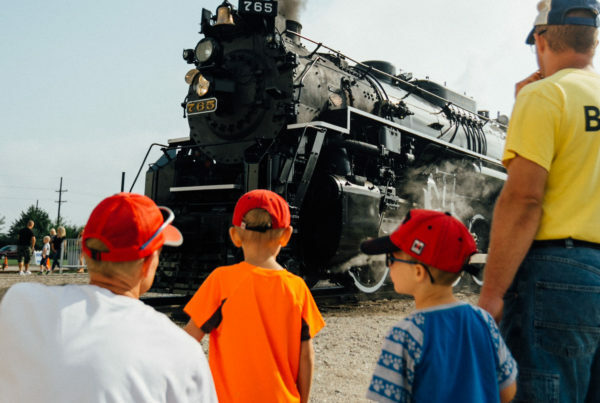 Your ticket is redeemable for a trip with Santa and does not necessarily guarantee a trip on a moving train, but does guarantee a visit with Santa aboard a train if the train is momentarily out-of-service due to mechanical delays. Your support and participation are greatly appreciated.